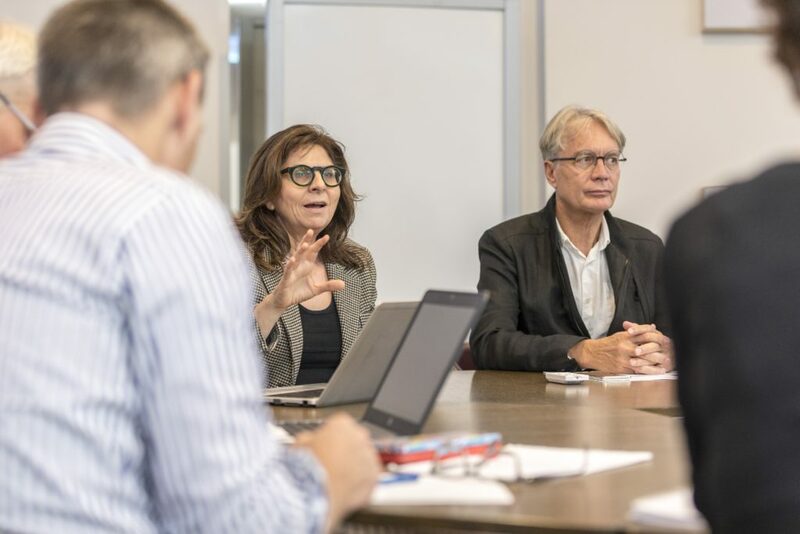 Linking governance studies, innovation studies and STS, the STePS group covers quite a broad scope of conceptual perspectives and empirical fields. Our research and teaching are strongly interlinked with other disciplines, particularly with technological domains at the UT (nanotechnology, ICT, health technology). While our critical, constructivist and interventionist approach is welcomed by many partners, it can also produce tension. Mostly, though, such tension has fostered mutual learning and enhanced creativity. STePS’ approach has also led to strong involvement in major international collaborative research projects, often funded by the EU; projects that are not per se STS oriented, but where we aim to introduce STS perspectives and insights into ‘mainstream’ research. 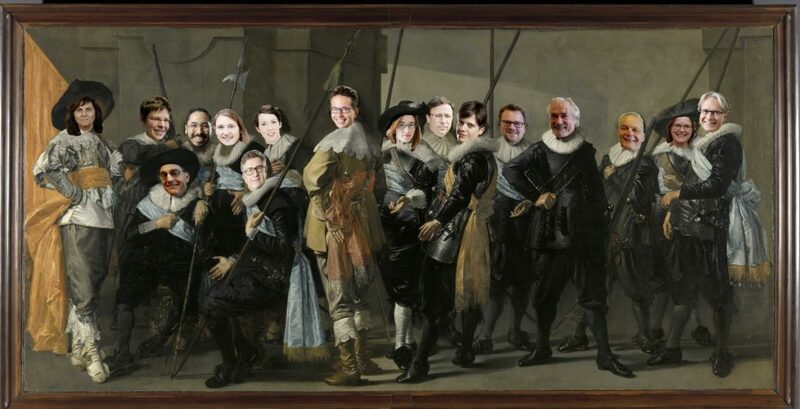 The same can be said about our considerable engagement with public policymakers in STI, on national, European and international levels: senior STePS scholars have been playing influential roles in setting new policy agendas. 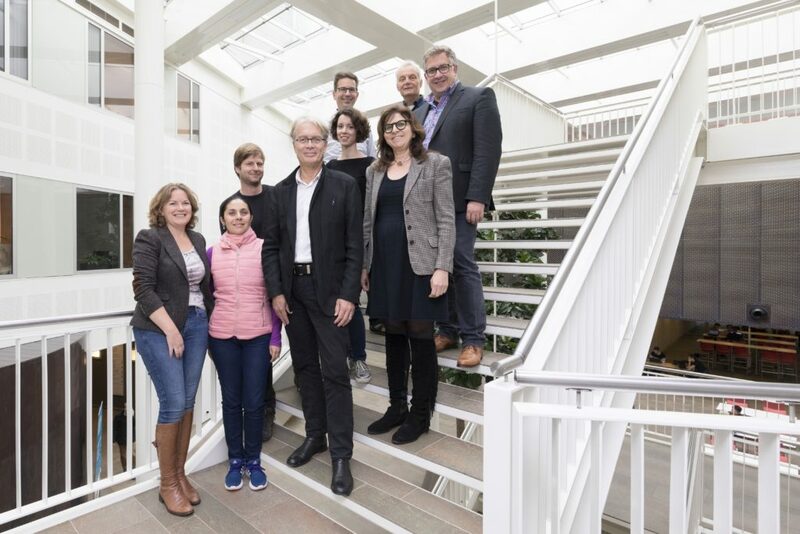 Consequently, the interdisciplinary mission and engagement of STePS, its study of the dynamics and governance of STI, have been praised by international evaluation panels (2009; 2015) as excellent, highly relevant and internationally leading. We take the emergence (past and future) and politics of science, technologies, and innovations in globally diverse societies as our vantage point for research and teaching. Consequently, STePS acts as a cross-disciplinary go-between of social sciences, humanities and techno-sciences. Research and related education link analytical and normative perspectives, and consider innovations in governance alongside technological innovations. Currently STePS is active in three inter-linked research areas (see graph). They are concerned with a better understanding of STI vis-à-vis societal challenges, related change, and the (potential) contribution of ‘non-traditional’ actors such as Civil Society Organisations and ‘users’. And they explore modes of experimentation and learning, informed by theory-driven empirical research, with the help of a broad spectrum of qualitative (e.g. ethnographic) and quantitative methodologies. Below we briefly introduce the areas and illustrate them with examples of recent and current work. Fig. 3: STePS’ research focus and main themes. We are particularly interested in processes at the meso level, such as technological fields, sectoral dynamics, and innovation journeys. We combine analysis of ongoing dynamics and the ways in which socio-technical futures are imagined and acted upon, with approaches as Constructive Technology Assessment (CTA) that turn these insights into starting points for scenario-building and engagement with stakeholders.11 Key contributors in this research area are Kornelia Konrad, Stefan Kuhlmann, Klaasjan Visscher, Katrin Hahn, Verena Schulze Greiving, Ellen van Oost. Science, technology and innovation are both key resources and causes for concern in society, the economy and public policy. Research on the politics and governance of knowledge and innovation analyzes transformation processes of research and innovation systems, the various modes of governance and policy making in this transformation and the processes by which expert knowledge contributes to policymaking and innovation. Beyond academic analysis we are also involved in the design and implementation of governance and policy initiatives in national, European and international arenas. Key contributors in this research area are Stefan Kuhlmann, Annalisa Pelizza, Peter Stegmaier, Gonzalo Ordonez-Matamoros. This research theme has two interactive aims. Stretching out from past to future, the first aim is to trace out the long term development of STIS in ways that reveal both the specific peculiarities and broader patterns that inform its dynamic character over time. As such the intention is not simply to provide background and context for contemporary and future-oriented research carried out within the department and the study of STIS more generally. It seeks to demonstrate that the phenomena and processes we study and which are subject to policy consideration, can only be properly appreciated and governed when their combined temporal and spatial character are understood. The second aim is to understand the very categories we use to organize our research – science, technology, governance, innovation, (o)economy and so forth – as historical phenomena whose definitions and implications have changed (and will continue to change) over time and across space. Key contributors in this research area are Lissa Roberts, Fokko Jan Dijksterhuis, Adri Albert de la Bruheze, Andreas Weber. 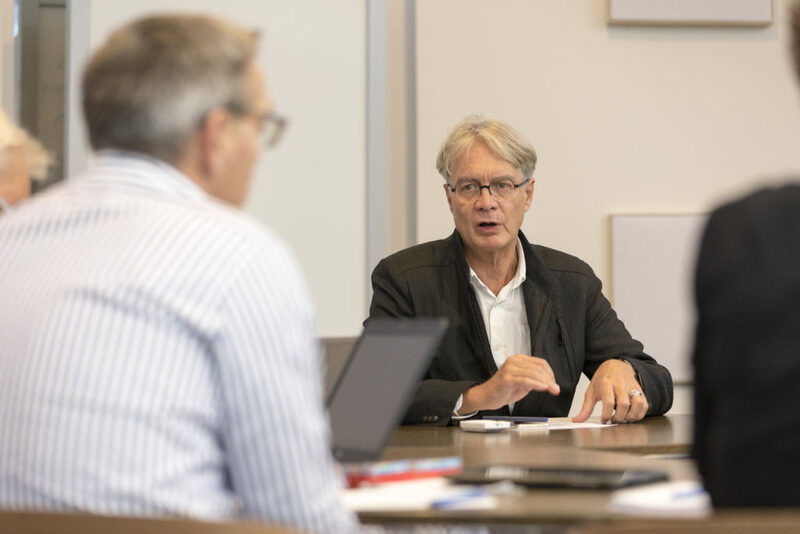 STePS (and precursors since the 1970s) has the mission to teach the dynamics, governance and options for shaping science, technology and innovation in society on an interdisciplinary basis, particularly for the UT technical faculties. In the ‘Twente Model’ for undergraduate education students are trained as researchers and designers, with an eye for the societal embedding and implications of their work. STePS is a key contributor to this ‘reflection education’. We are also strongly involved in UT’s University College ATLAS, an honours programme for talented students, bringing technology and society together. We further offer the course ‘Governance and Ethics of Technology’ at UT’s international ‘CuriousU’ summer school. Fig. 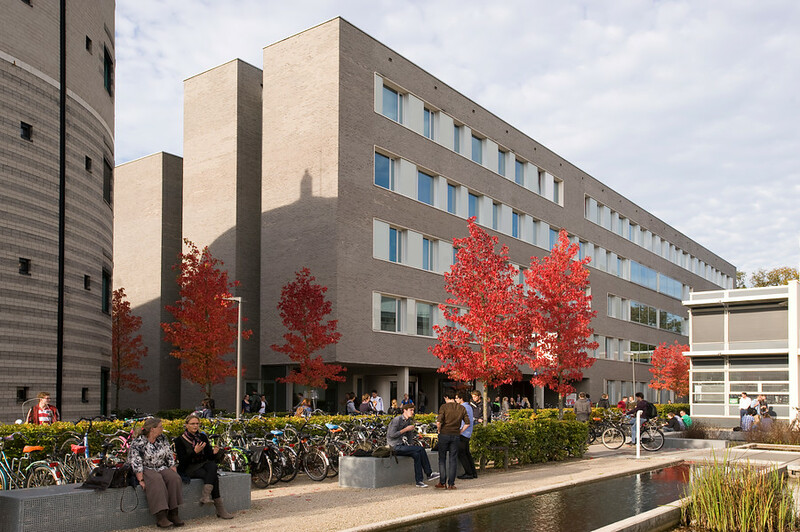 7: Campus life, University of Twente. In graduate education STePS and the Philosophy Department jointly offer a two-year international Master’s programme ‘Philosophy of Science and Technology (PSTS), meant for anyone who is interested to develop an interdisciplinary understanding of and become involved in guiding the role of technology in broader social contexts. The PSTS programme is designed for students with technical, philosophical and social science backgrounds. Further graduate education is offered for the Master programmes Nanotechnology, Chemical Engineering, Industrial Design, Public Administration, and Business Administration. As part of the Twente Graduate School, STePS runs the programme ‘Governance of Knowledge and Innovation’ for Master and PhD students. Also, STePS is a key contributor to an (emerging) ‘Global PhD Platform’, an effort for attracting and supervising PhD students from the Global South. STePS scholars are highly engaged in the international communities of STIS, through numerous collaborative research projects, multiple publication efforts, and active contribution to academic and professional associations, among them the “European Association for the Study of Science and Technology (EASST)”, the “Society for Social Studies of Science (4S)”, the “European Forum for Studies of Policies for Research and Innovation” (Eu-SPRI Forum), the “Society for the Studies of New and Emerging Technologies (S.NET)”. The international standing and appreciation of STePS scholars is emphasized by their leading roles in important academic journals such as »Research Policy«, (Editor S. Kuhlmann), »Tecnoscienza« (Editorial Board A. Pelizza) or »History of Science« (Editor-in-Chief L. Roberts). Fig. 8: Some STePS colleagues. 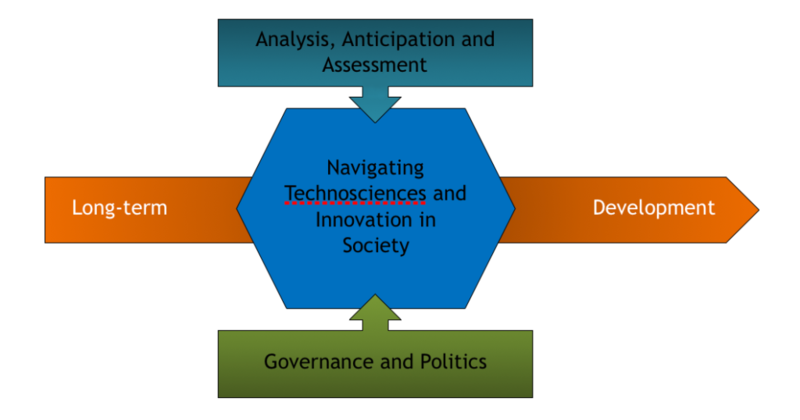 As claimed at the start of this short account of STePS’ pedigree and current work, the Twente Approach aims to combine engaged STIS and Governance Studies and intervention in the development of technology and innovation in society. Conceptually, we envisage a further integration of concepts and lenses from STS, innovation studies, governance, and long-term perspectives, in order to sharpen our understanding of technology from research and innovation to its integration into societal practices and structures, its governance and governance effects. A phenomenon like digitalization can hardly be grasped, other than by considering its actual manifestation in practice, from industry to e-health, and from the politics of code to policies. We expect the Twente-borne CTA-approach14 to be further enlarged in scope – e.g. geographically or from technical to service innovations, requiring at the same time a need for further situating and tailoring of our methods to different conditions. Most importantly, such future interventions will have to draw on capacities for a long-term analysis of socio-technical configurations, both from a historical perspective and with advanced foresight methodologies and procedures. 1 Farias I (2017) O EASST Review lovers, where art thou? On STS as extitution. EASST Review: Volume 36(2) July 2017. 3 E.g. Callon M, Rip A and Law, J (eds). (1986) Mapping the dynamics of science and technology: Sociology of science in the real world. Springer. 4 Rip A and Van der Meulen BJ (1996) The post-modern research system. Science and public policy, 23(6): 343-352. 5 Schot J and Rip A (1997) The past and future of constructive technology assessment. Technological forecasting and social change, 54(2-3): 251-268. Collingridge D (1982) The social control of technology. 6 Rip A and Kemp R (1998) Technological change. In: Rayner S. and Malone L (eds) Human Choice and Climate Change, Vol. 2, Resources and Technology, Washington DC: Battelle Press: 327-399. 7 Oudshoorn N (2003) The male pill: A biography of a technology in the making. Duke University Press; Hyysalo S, Jensen TE and Oudshoorn N (eds) (2016) The New Production of Users: Changing Innovation Collectives and Involvement Strategies (Vol. 42). Routledge. 8 Roberts LL, Schaffer S and Dear P (2007) The Mindful Hand. Inquiry and Invention from the Late Renaissance to Early Industrialisation. History of Science and Scholarship in the Netherlands (9). 9 Hoppe R (2011) The governance of problems: Puzzling, powering and participation. Policy Press. 10 E.g. Smits RE, Kuhlmann S and Shapira P (eds) (2010) The theory and practice of innovation policy. Edward Elgar Publishing; Kuhlmann S and Ordóñez-Matamoros G (eds) (2017) Research Handbook on Innovation Governance for Emerging Economies: Towards Better Models. Edward Elgar Publishing. 11 See Konrad et al, Constructive Technology Assessment – STS for and with Technology Actors, this issue of EASST Review. 12 See Pelizza A, Processing Citizenship. Digital registration of migrants as co-production of individuals and Europe, this issue of EASST Review. 13 Kuhlmann S and Rip A (2017) Next Generation Innovation Policy and Grand Challenges. Science and Public Policy (paper accepted for publication). 14 See Konrad et al, this EASST Review. 15 See e.g. Pelizza, this EASST Review. 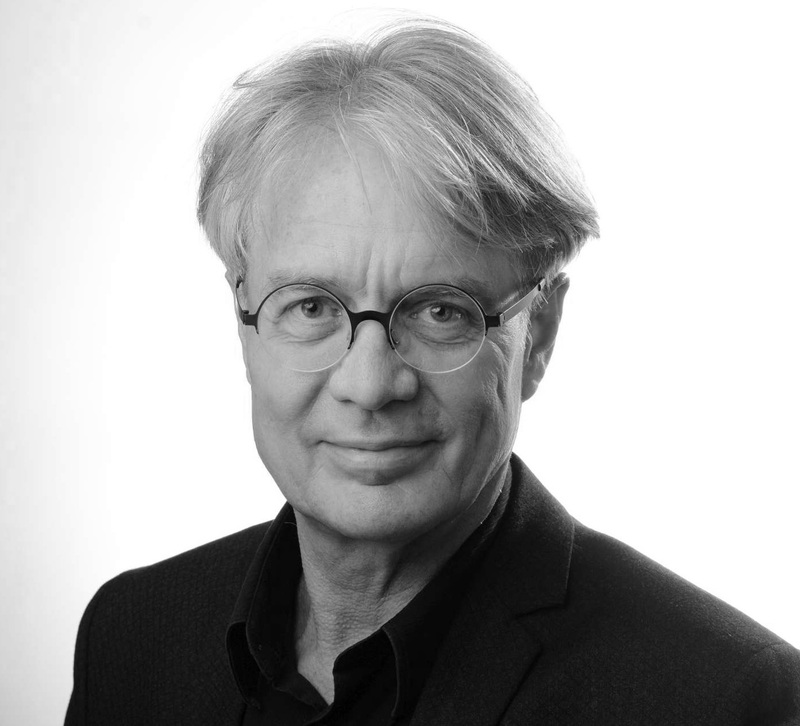 Stefan Kuhlmann is full professor of Science, Technology and Society at the University of Twente and chairing the Department Science, Technology, and Policy Studies (STePS). Earlier he held leading positions at Fraunhofer Institute for Systems and Innovation Research ISI, Germany, and was Professor of Innovation Policy Analysis at University of Utrecht. He works on research and technological innovation as social and political processes, focusing on governance and politics, and he publishes widely in the field of research and innovation policy studies. 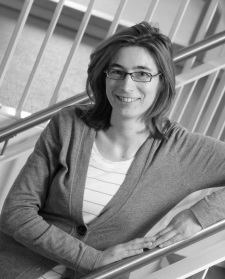 Kornelia Konrad is Assistant Professor of Anticipation and Assessment of Emerging Technologies at the University of Twente. She received a master’s degree in sociology, physics and mathematics at the University of Freiburg i.Br. (1997) and her PhD at the Technical University of Darmstadt (2002), where she participated in the Graduate School “Technology and Society”. Before joining the UT she was a researcher at Eawag, a Swiss federal research institute of the ETH domain in Zurich. 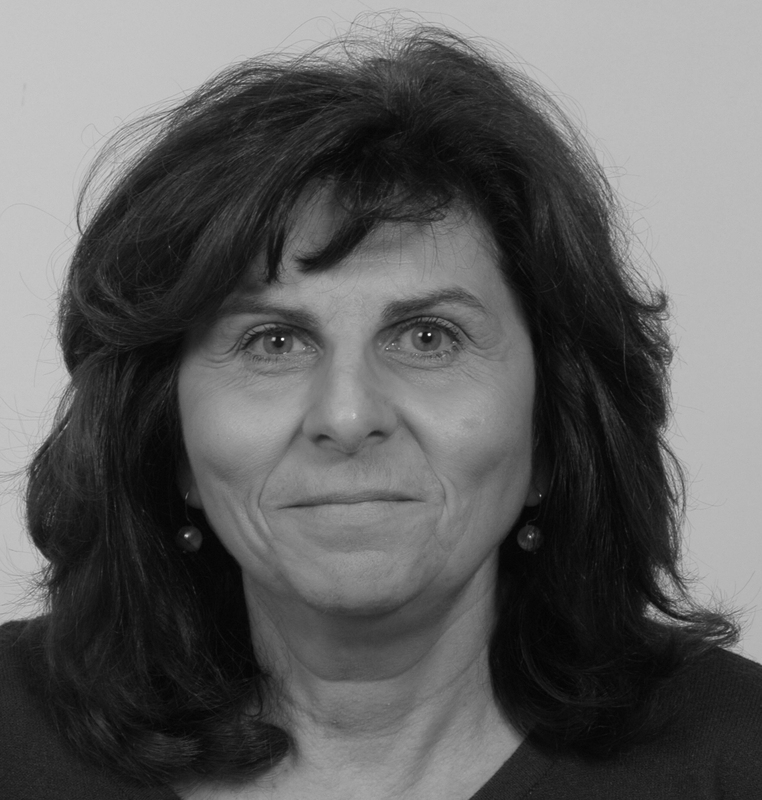 In her work she studies and aims at enriching the role of anticipation and assessment in socio-technical innovation. Lissa Roberts is professor of Long-term Development of Science and Technology at the University of Twente. She received her PhD in European cultural and intellectual history at U.C.L.A. (dissertation “From Natural Theology to Naturalism: Diderot and the Perception of Rapports”). She has held positions at a number of universities in both the United States (including UCLA, University of California at Irvine, Washington University and San Diego State University) and the Netherlands. She now heads the STePS’s research area on ‘long term development of science and technology’.